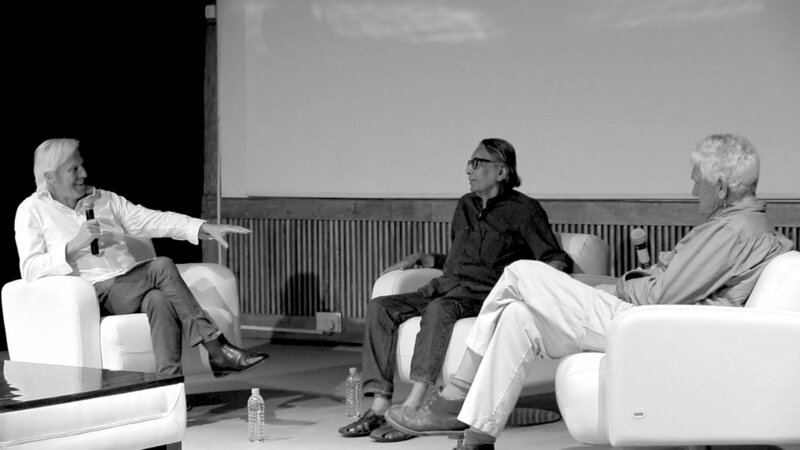 Ozetecture - the Architecture Foundation Australia - held an evening with Richard Leplastrier and Peter Stutchbury speaking about their times with 2018 Pritzker Prize Laureate B V Doshi. Held in the Sydney CBD Studio of ‘Brickworks’ attended by a large audience of ‘emerging’ and ‘emerged’ architects. They spun a great account of the rich characteristics of the traditional architecture of the 'sub-continent’ and how Doshi also brought influences from Le Corbusier and Louis Kahn to his architecture.